Hey, I just downloaded this game - I saw a video on it and thought it look like a fun ride. The game starts up fine, but fonts aren't showing up even though I downloaded all of them? They're in the same folder and everything. Sorry if this is kind of a dumb question, I don't know if it belongs here, but I really don't know why it isn't working properly. Cheers! In order to install the fonts, you have to go to the control panel, the Appearance/Personalization folder, and then to the fonts folder. You have to drag the fonts from the Edge Rising folder into there. If you did that, than I'm not sure what is causing it to not work. But the game is completely playable without the proper fonts, so if for some reason they aren't able to work on your computer, you can stil play the game fine. Some textures, like around trees, has a weird break effect. 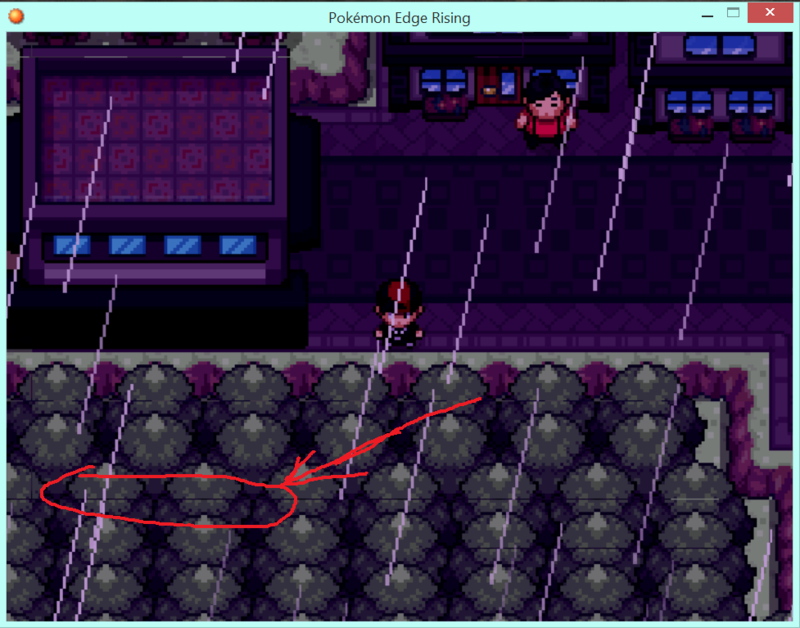 I don't have video of the rain issue, but I did take some screenshots of the weird texture issue. It seems to only effect trees from what I've seen? The rain issue happens on slower computers, unfortunately. The engine isn't super optimized. This also extends to the tree issue. It only occurs when the game is fullscreen, and we can't do anything about either without massive code overhauls. Ah I see. I'm not in fullscreen, but I am using the large window size. My computer is pretty good, it's a fairly new alienware laptop, but maybe something else is using up my CPU and causing the framerate issue then. Like I said though, that's pretty negligible, so I can just ignore it. easy fix, just double click each font file and install them one at a time, this will allow you to play the game with those fonts, and you wont have to install them in future games, unless they are entirely different. Did you install the fonts in control panel? How long is this game? like an estimate? It's about 4-6 hours depending on how much you actually read and how much you explore. Source: I played it all the way through. Thanks very much for your reply, I reinstalled the fonts and now the dialogue boxes actually have words. Very excited to play this!------------------------One other question - not related to a bug. Is the shiny rate encounter more probable in this game? I've caught two shinies and I've only been playing since yesterday. I mean, it's baller, I'm just wondering. Yeah, shinies are a little less than 1%. We figured since it wasn't that long of a game we didn't have anything to lose by making them more common. Great game, I really enjoyed it and finished it. Some of the Fakemon's cries made me spit out my coffee so you might owe me a new keyboard if this one fails due to that. I also liked how Fang gets progressively "better" over the course of the game, which furthers my statement in the spoiler. 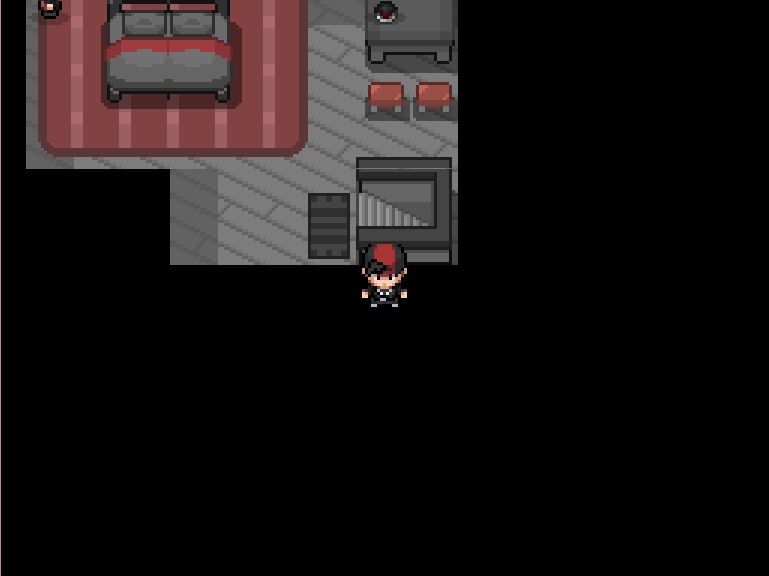 Ending left me feeling a bit bummed out though, and like I put in a bunch of effort for no reason considering you don't finish the game with your own pokemon, or even with your own character. Also feel like the story and characters were leading somewhere, but suddenly stopped midway. I wonder what Yahn Deer will do with her life now? Hi, I enjoyed the game a lot, but I have a question about the end, since it seems I can't finish the game. The latest version should have a fix for that bug. Did you install it? If so, I'm not sure why its still happening. I probably don't have the lastest version, thank you. my trainer sprite in battle is Fang instead for Hate. Really good game, very funny. Nope. This game was all about being inconsistent, ironic, and kind of satirizing the pointlessness of so-called "moral choices" in other fangames. There's only one ending. If you liked the writing in this game, however, you might be willing to try out my other project - Banette and Guilmon. 1- Thank you for making this game, it's so fun! Even after watching a let's play there's so much to find and see! 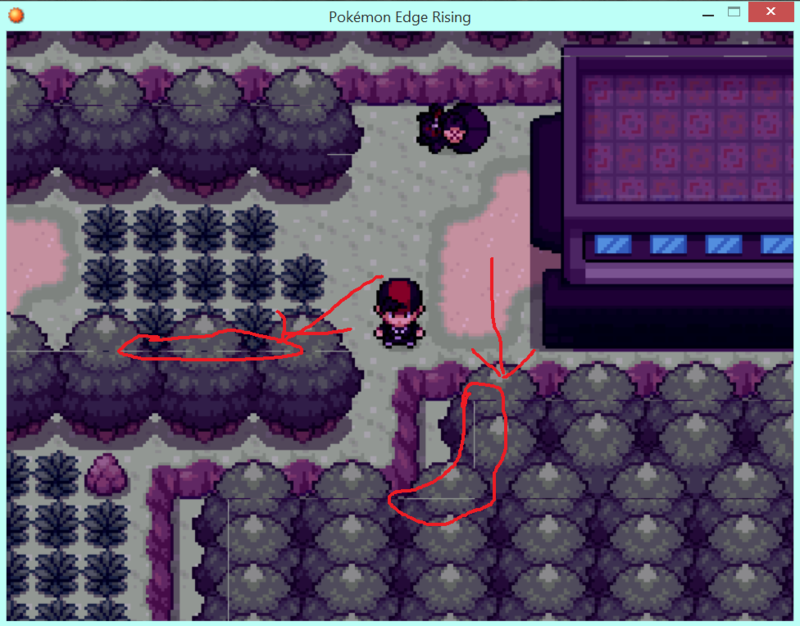 2- I found this, is it a map error or some kind of secret? Well if I remember correctly, there's a couple Master Balls there plus a TM for V-Create.